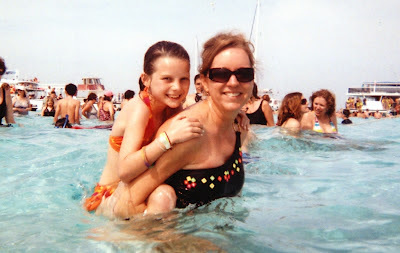 Our first stop while on the Carnival Glory was Grand Cayman. After reading about several things to do there we chose taking a boat out to Stingray City. We booked a tour with Captain Marvin's. They have great reviews on TripAdvisor and booking directly instead of through our cruise ship saved us over 50%. Their office is located less than a block from where the boat docks so it was an easy walk. They put you on an air conditioned bus (it's hot there!) for a short drive to where you catch the boat. 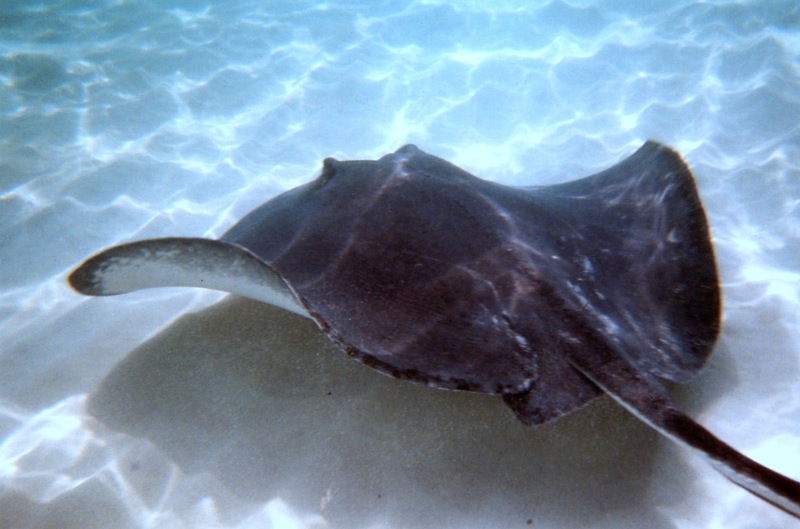 You take about a 20 minute beautiful boat ride out to the sandbar where all the Stingrays are located. As you can see there are a lot of people out there with you. One nice thing about this Captain Marvin's is you are on a large boat with about 20 people. We saw other companies with smaller boats that had twice the amount of people. Someone was a little scared at first. The Stingrays are very friendly because they get fed. Don't worry, they eat fish not people. They were swimming around us the entire time. The water is crystal clear and about waist high deep so it is perfect for kids. The guys that run this show get in the water, grab a Stingray and let everyone take turns holding and kissing it. Say what?! Yes. You kiss the Stingray for 7 years good luck. Kind of weird but fun. They have a photographer that takes pictures of all this action and after viewing the pictures you can purchase all of them for $45. 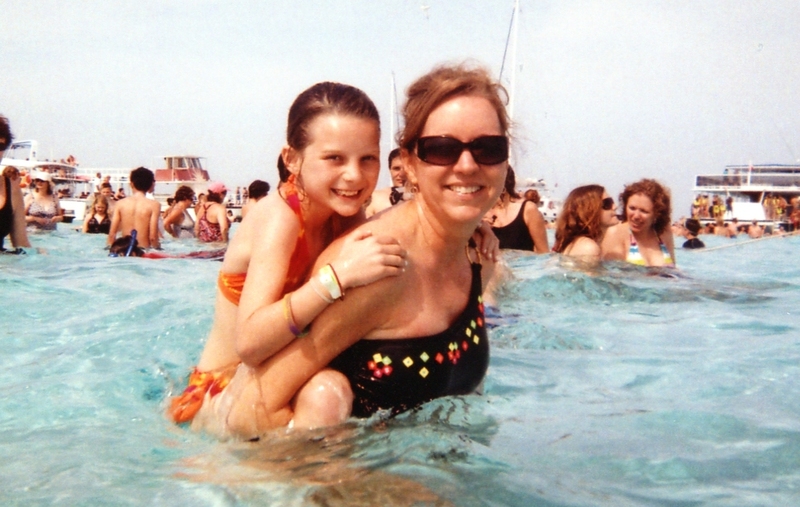 Our disposable water proof camera did okay but the best shots came from the photographer. 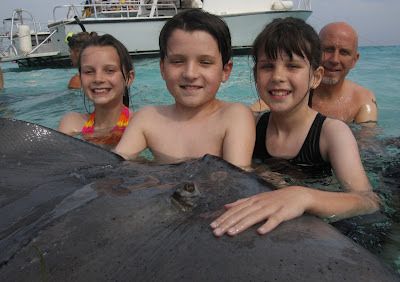 The kids and I had fun watching Steve chase after a Stingray trying to get a picture. Those suckers are fast! Steve, not so much. Somehow he managed to get one. At last Steve and I were able to hold one. They feel like sandpaper on the top and slimy on the bottom. This is a must do in Grand Cayman. Great way to spend the day and get 7 years good luck!